This transformation has to be one of my all time favorites. 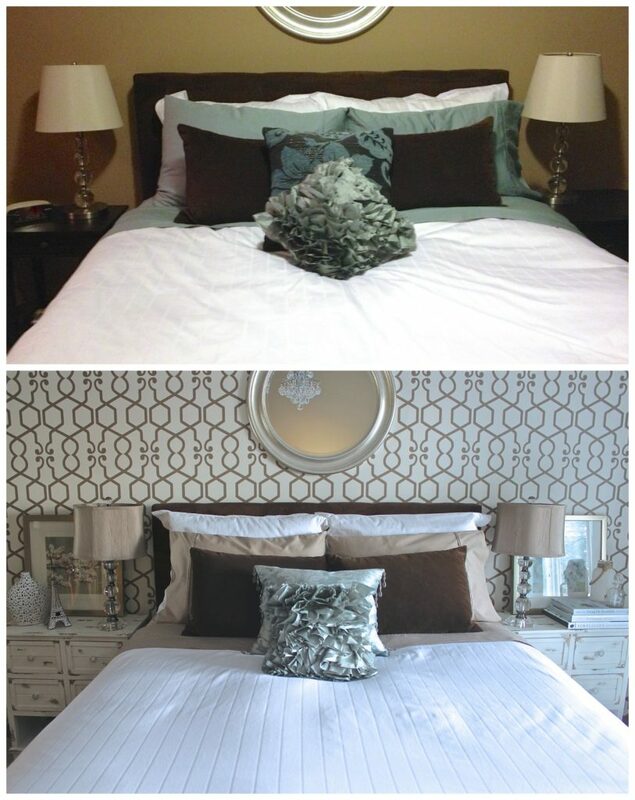 This Master Bedroom went from dark and dreary to light and glamorous. Not every transformation requires an entire overhaul. In this space, I kept a lot – the headboard, bedding, and mirror – and just added a few extra elements to help achieve the look. This is definitely my favorite part of the office, it’s also where I spend most of my time, so it ought to be my favorite! I feel like this little corner is the perfect reflection of who I am – a lover of simple, clean design, with a splash of pretty and feminine, and a gentle nod to the past and my heritage. Although not Indian per-say, I absolutely LOVE the hanging lanterns, they’re totally unexpected, whimsical and remind me of the far east. 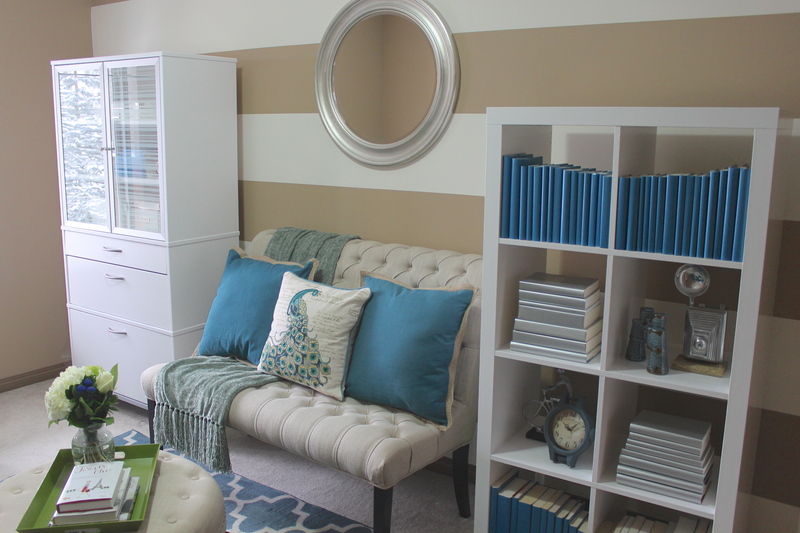 One of the easiest and most inexpensive ways to add interest to a space is by the addition of stripes to the walls! 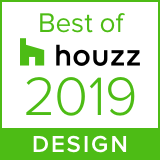 Although painting out all four walls of a room in stripes is a significant commitment and much more dramatic, it can be great fun and create a one of a kind room, like this great space from www.yellowsubstudio.com. 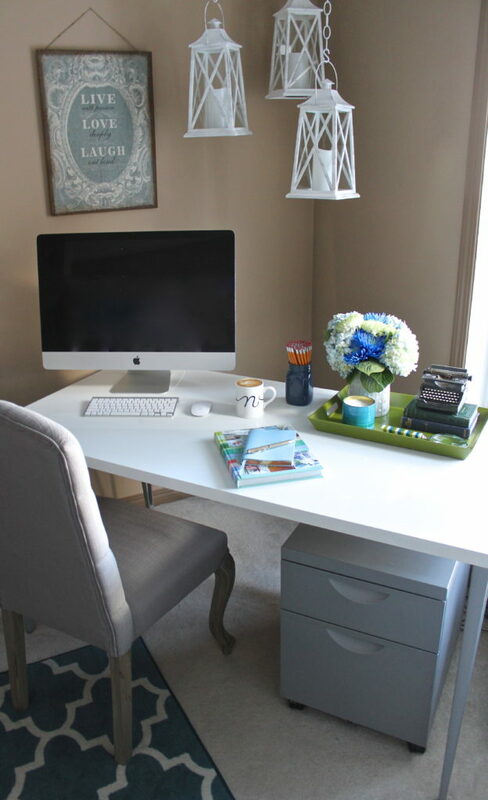 I decided to stick to one wall … for now 😉 My inspiration for the stripes came from wanting to brighten up my office without having to paint out the entire room and cover up some patched holes.